Campers who complete the Leader-in-Training (LIT) program may be invited to return the following year to learn and improve their skills in teaching children. 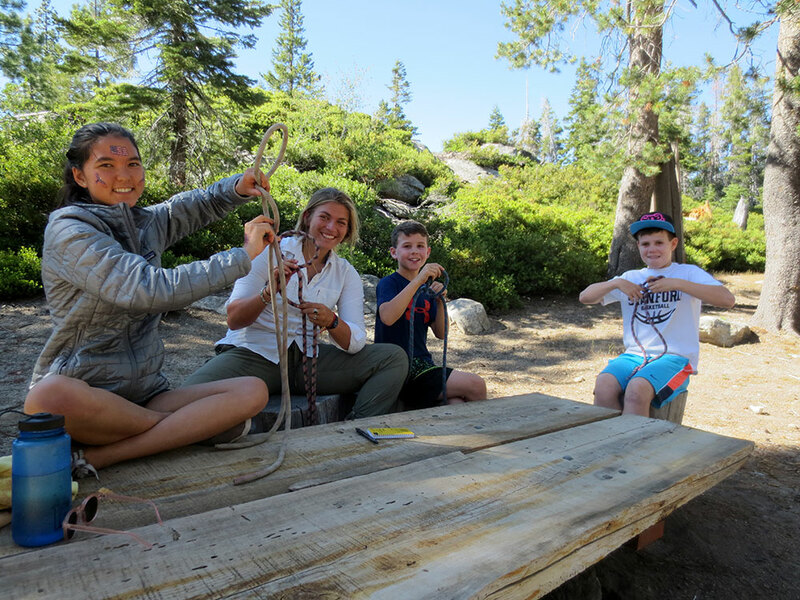 In the role of Guide-in-Training (GIT), senior campers spend two of four daily activity periods in special GIT classes (e.g., memory techniques, wilderness first aid, positactic analysis of videos of GIT teaching), assisting an instructor teach a class, or in periodic group meetings with the Camp Director. During the other two activity periods, they participate in camp like any other camper. An extra privilege granted to GITs is the opportunity to sit in on the LIT classes to reinforce what they have already learned or to learn new topics that have been added to the LIT program. They may be invited to attend staff meetings, as appropriate. GITs are not directly responsible for campers and are always under the supervision of a staff member. The GIT program is four weeks (see Dates & Rates for session dates). In 2019, GITs participating in a full four-week session will have the opportunity to be certified in Wilderness First Aid! Commitment to the values and philosophy of Deer Crossing’s leadership programs as shown by active goal-setting practice, VAKing subjects, attitude development by working on PEGSS, irradiating power-sapping phrases such as T’NACI, etc. Once they turn 18, many GITs return to Deer Crossing as a full instructor (although employment is not guaranteed). To enroll in the GIT program, campers must receive an invitation from the Camp Director after they have completed the LIT program. Participation is limited to a maximum of 4 GITs per session. GITs attend camp for four weeks, either during Sessions 1 and 2, or Sessions 3 and 4, at a reduced rate.